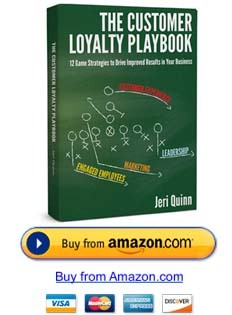 Jeri Quinn is a business coach, speaker, and author of “The Customer Loyalty Playbook”. She got into coaching after selling her IT company, and has coached clients in over 40 industries. She stops by to share with Coach Nation her experience of working with so many small and medium-sized businesses! Jeri Quinn speaks with Tom Martin and Rick Brutti about building customer loyalty. Description: Jeri Quinn joins John King on the show Making Headway to talk about why customer loyalty is a topic that should be of interest to all business and organizations that want continued business sustainability. Having been in business for over 30 years, Jeri Quinn, is an expert on driving customers to your business and keeping them there. She knows what it takes to be successful and how to drive customer loyalty. 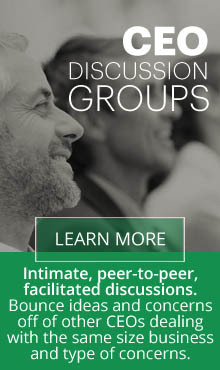 Listen is as she shares some of those insights. In this webcast, we cover the most effective retention strategies for CMOs to build a stronger retention plan that will result in increased customer lifetime value. Learn where cost per acquisition (CPA) and lifetime value (LTV) meet and how they align with your marketing efforts. Mike Dischley, talks about how Jeri and her insights and guidance helped him get TWO PROMOTIONS and 30% more in commissions. Lenny Sass talks about how Jeri helped him learn to use his time more effectively, delegate, track customers and use his resources to turn his business around while other businesses in his industry were having a hard time. Jeri tells a story about facing the head and gut fears of stepping into nothingness and flying on a trapeze. She relates this to facing business risk. Jeri talks about the business risk of coming up with new concepts that make competition irrelevant, such as Cirque de Soleil and Barnes and Nobles.